Reportedly, trade talks "have intensified" for Cleveland Indians' two-time AL Cy Young Award winner Corey Kluber. 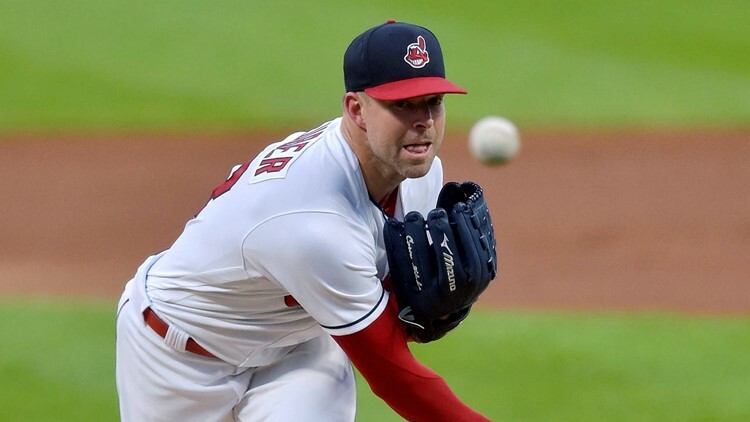 The Cleveland Indians remain open to trading starting pitcher Corey Kluber and talks of deals for the two-time American League Cy Young Award winner have ramped up at the Winter Meetings in Las Vegas. Last month, Morosi reported that the Indians and Dodgers “have discussed various trade proposals in recent days,” including Cleveland sending Kluber to Los Angeles in a deal that would feature a return of outfielder Yasiel Puig. Morosi continued to say that the Dodgers would need to sweeten the deal for Kluber by sending “at least one significant player in addition to Puig” to make the trade happen. Kluber finished third in the voting for the 2018 American League Cy Young Award. 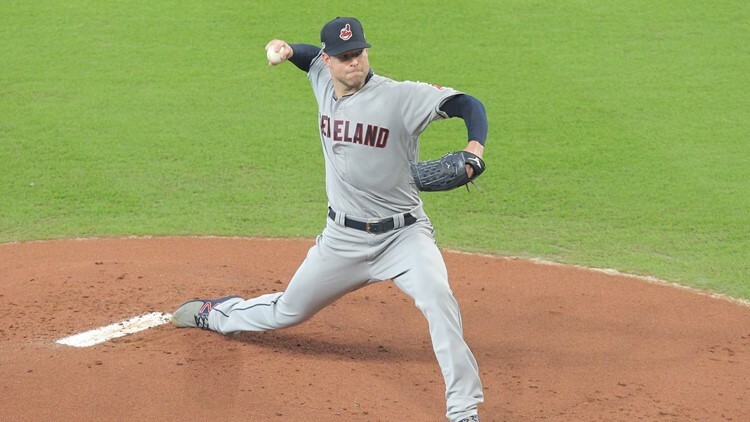 Kluber tallied 71 points with four second-place and 12 third-place votes, which placed him behind both Tampa Bay Rays ace Blake Snell (17 first-place votes, 169 points), a first-time AL Cy Young Award winner, and Houston Astros veteran right-hander Justin Verlander (13 first-place votes, 154 points). Cleveland Indians starting pitcher Corey Kluber (28) delivers in the first inning against the Chicago White Sox at Progressive Field in Cleveland, Ohio. In his 33 starts this season, Kluber (20-7) registered 222 strikeouts against just 34 walks, 179 hits and 69 earned runs allowed over 215.0 innings of work while anchoring a pitching staff that led the way to the Indians’ third consecutive AL Central Division Championship. A two-time AL Cy Young Award winner (2014, 2017), Kluber won four games in three different months this past season, starting with an 8-1 slate through April and May. Additionally, Kluber posted a 4-1 record over his six August starts. An AL All-Star for the third consecutive season, Kluber posted an 8-2 record in 13 starts following the 2018 MLB All-Star Game. Over 81.1 innings pitched, Kluber struck out 90 batters and walked only 17 while cutting down on his home runs allowed. Cleveland Indians starting pitcher Corey Kluber (28) delivers a pitch during the first inning in Game 1 of the 2018 ALDS against the Houston Astros at Minute Maid Park in Houston. Kluber allowed 19 home runs in 133.2 innings pitched before the Mid-Summer Classic, but in 50 less innings of work from mid-July to the end of the season, he surrendered only six round-trippers. Along with being an American League Cy Young Award finalist, Kluber was named a finalist for an AL Gold Glove Award this season. Defensively, Kluber had 19 putouts and 13 assists. A first-time nominee for the Rawlings A.L. Gold Glove Award, Kluber did not make an error in 32 total chances for the Indians. Kluber is 96-55 with a 3.09 ERA in 201 games over eight seasons with the Indians.